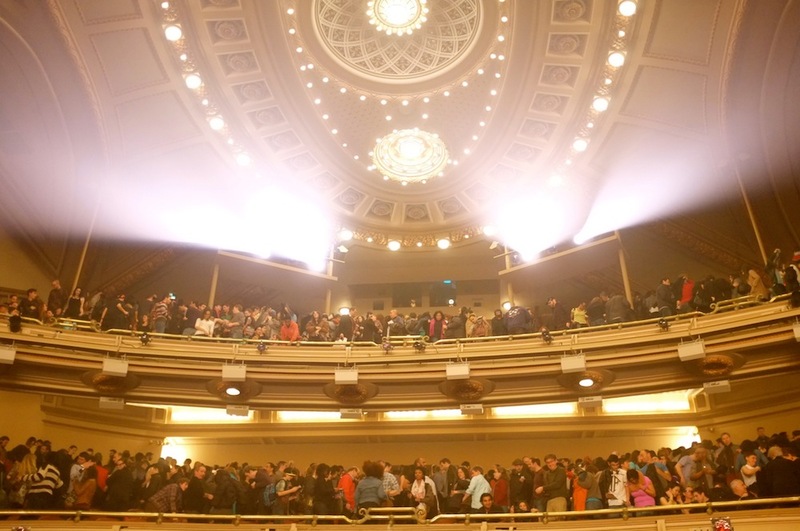 Now, it’s being used for one more purpose: inspiring revolution. 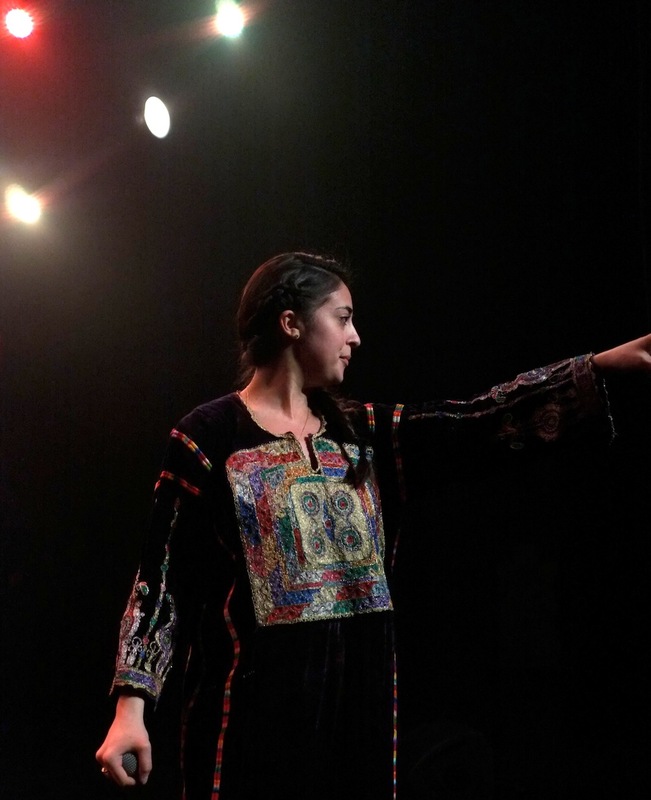 Some of the poetic sounds of the Arab Spring and Palestine came to Brooklyn, New York on Sunday for a musical showcase aimed at confronting political and social issues. 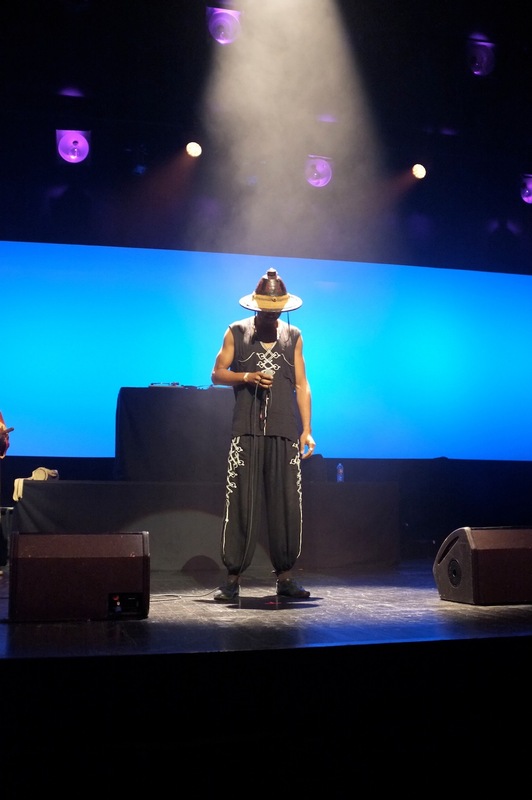 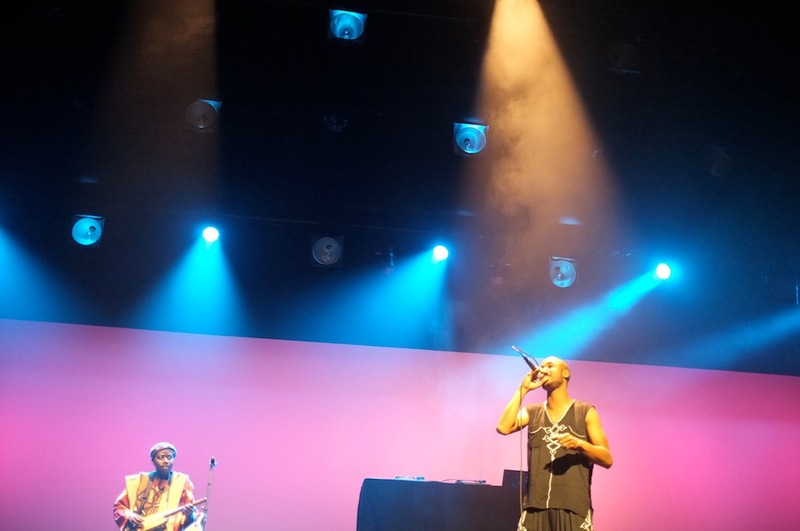 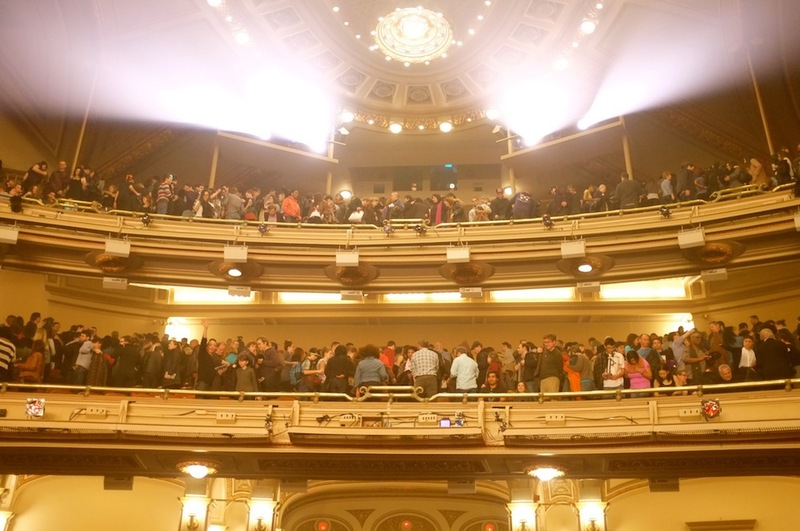 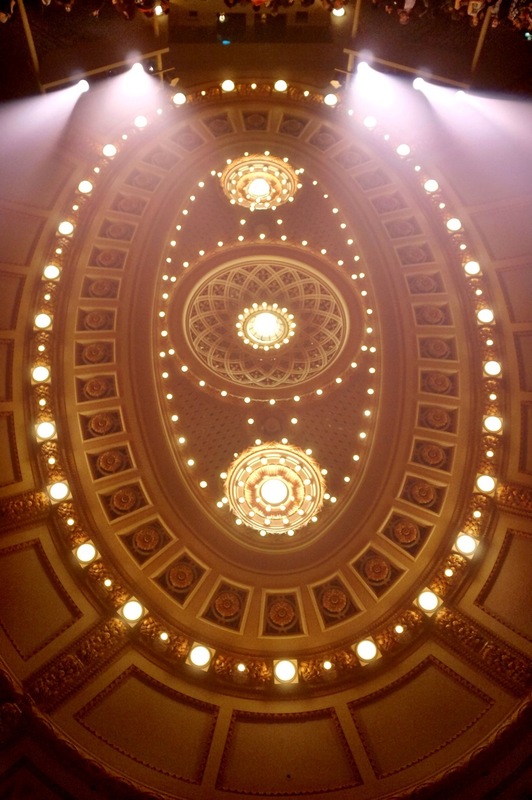 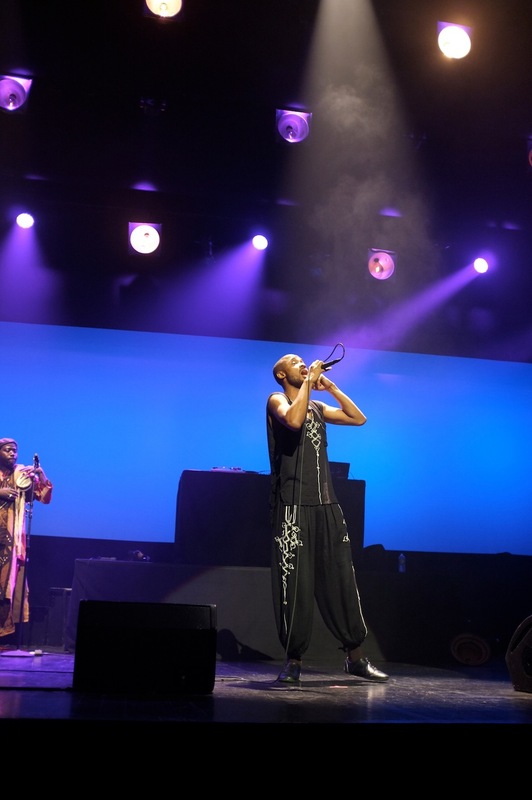 Artists Deeb, Shadia Mansour, El Général and Amkoullel captivated a full house in the Brooklyn Academy of Music’s Howard Gilman Opera House, singing and rapping to traditional Arab and North African instruments with modern-day beats by DJ Johnny Juice. 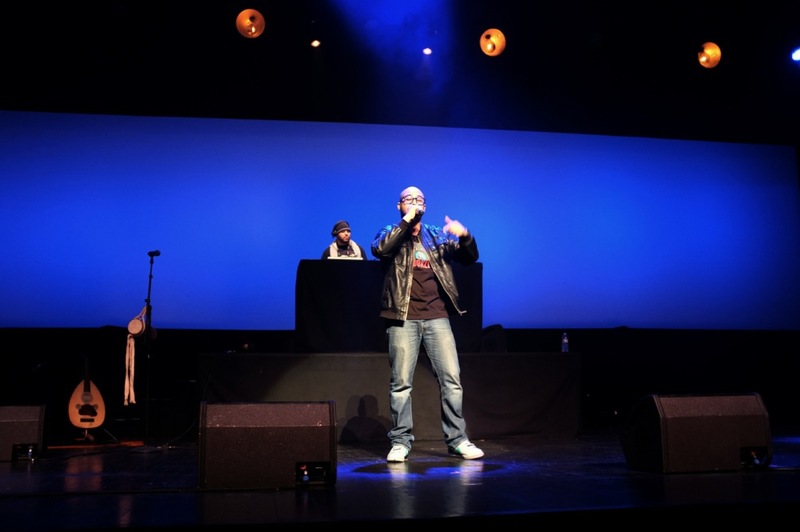 The program, titled “Mic Check: Hip Hop from North Africa and the Middle East,” was inspired by the success of the Muslim Voices: Arts & Ideas festival launched in June 2009 in New York City designed to share and celebrate the arts and culture of Muslim societies. 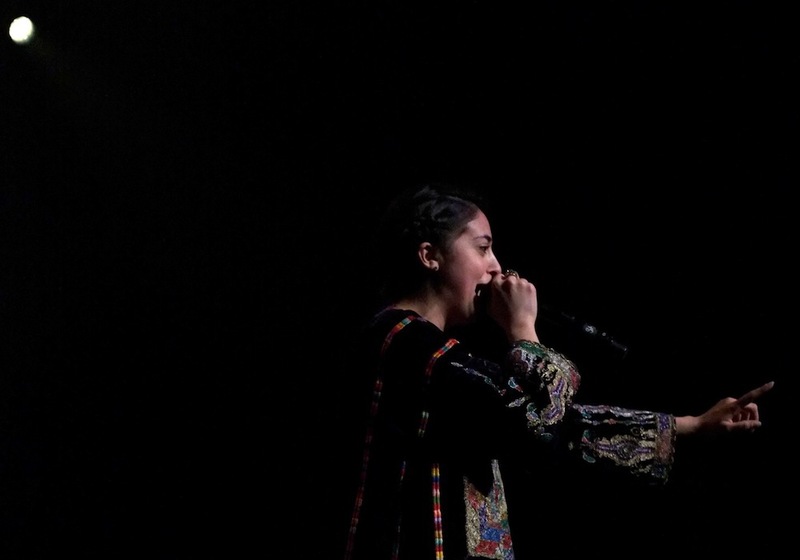 Organized by curatorial consultant Zeyba Rehman, Mic Check was part of the Academy’s Winter/Spring session sponsored by Bloomberg. 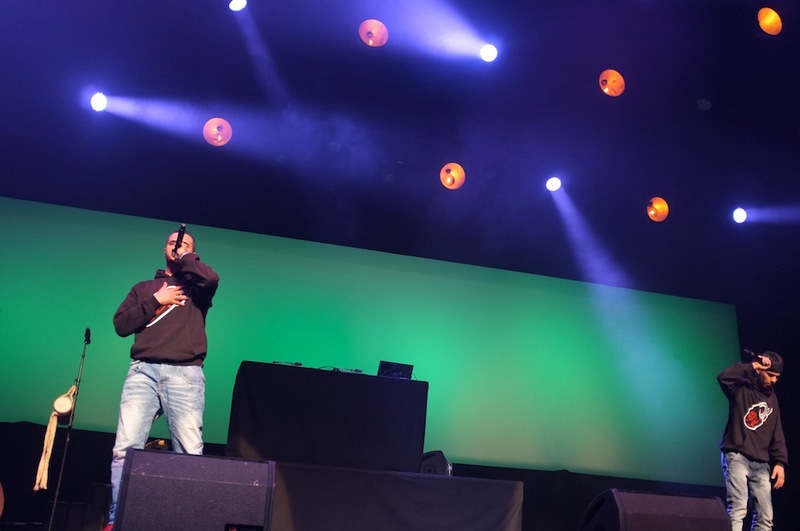 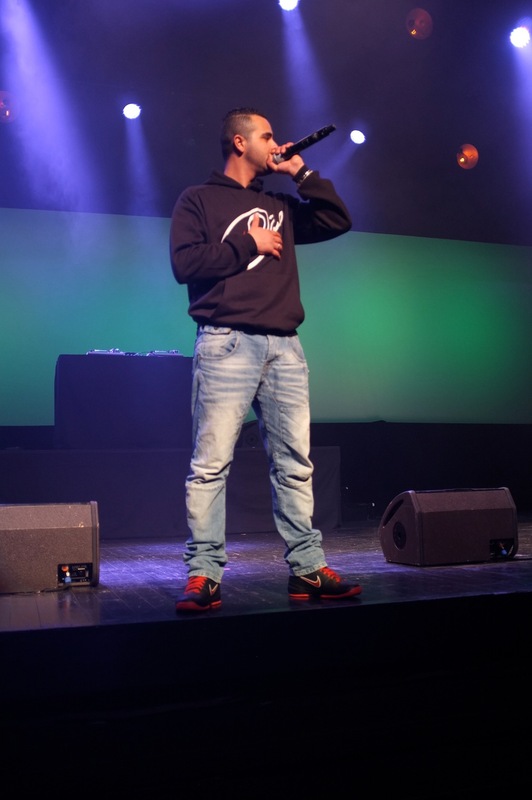 The event kicked off with Egyptian hip-hop artist and poet Deeb, who first appeared in the Egyptian music scene in 2005 with the group Asfalt. 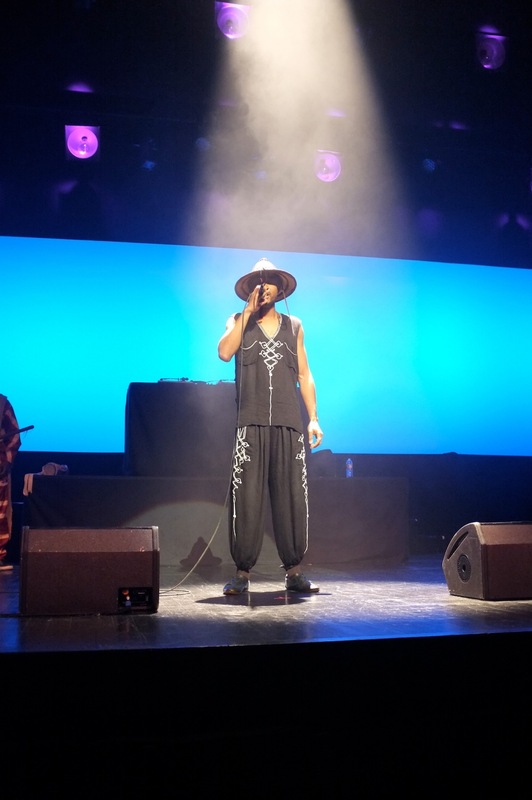 He performed hits like Bilady (My Country) and Mawood – or “Promised,” a song inspired by the goals of the Egyptian revolution. 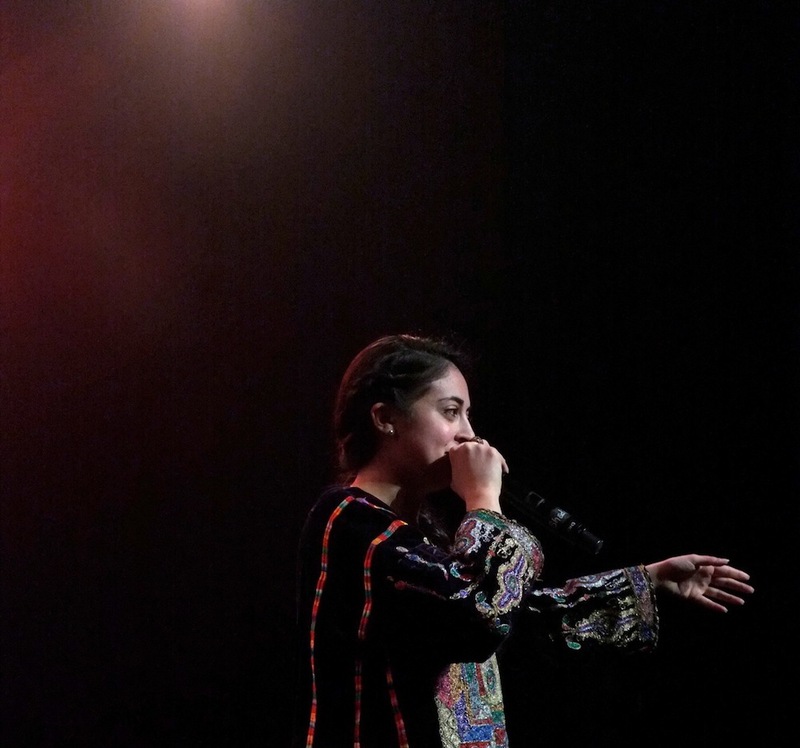 Shadia Mansour, a Christian Palestinian singer and MC born in London, took the stage next, engaging the crowd with lessons in Arabic to accompany her in her songs. 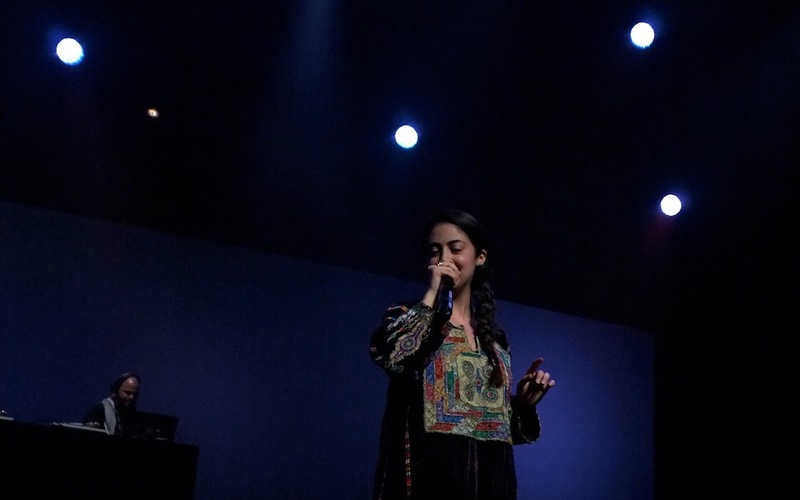 But she also took a moment to address the emotions behind the songs. 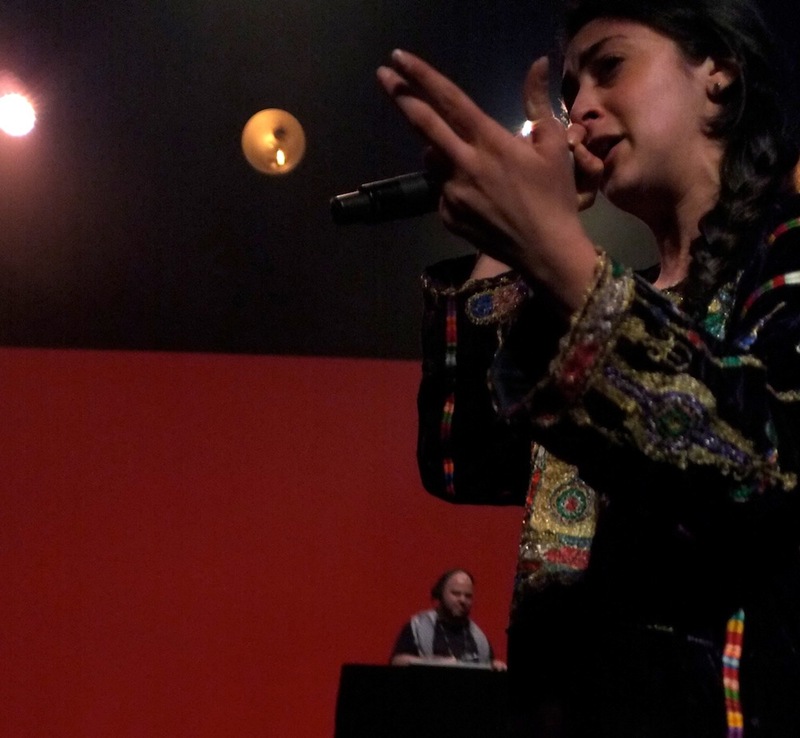 She proceeded to sing hits like Kofeyye Arabeye – “the kufiya is Arab,” and nursery rhyme turned hip-hop song Kollon Endon Dababaat. 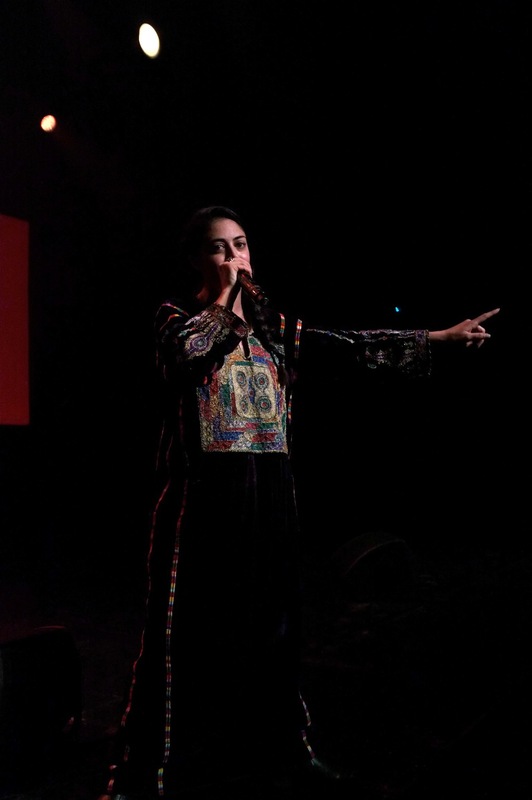 The program continued with the U.S. debut of Tunisian artist El Général, whose song Raise Lebled (Head of State) was described as the anthem of Tunisia’s Jasmine Revolution. 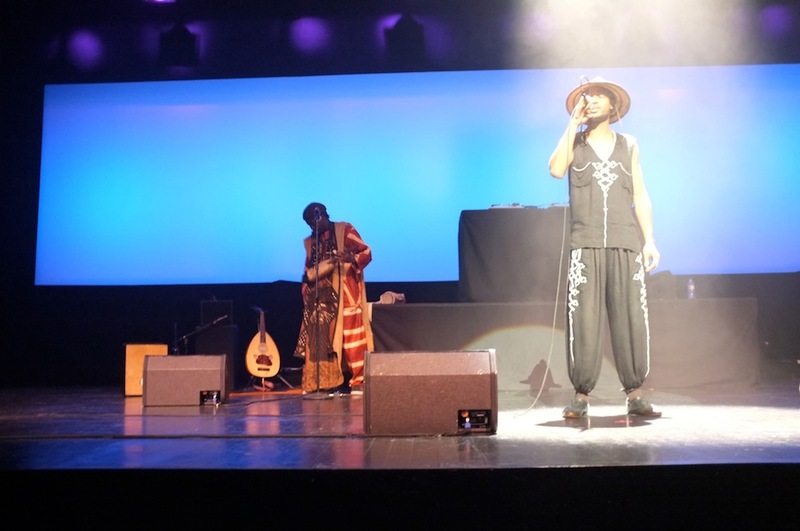 El Général released his second protest song, Tunisia our Country, one week after the protests in Tunisia began. 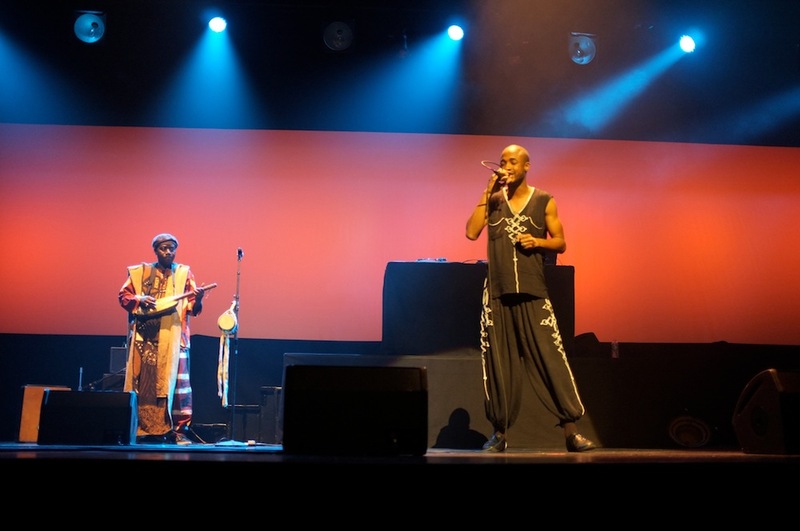 He was then arrested by police and imprisoned for three days, released only after agreeing to sign a statement that he would no longer sing political songs. 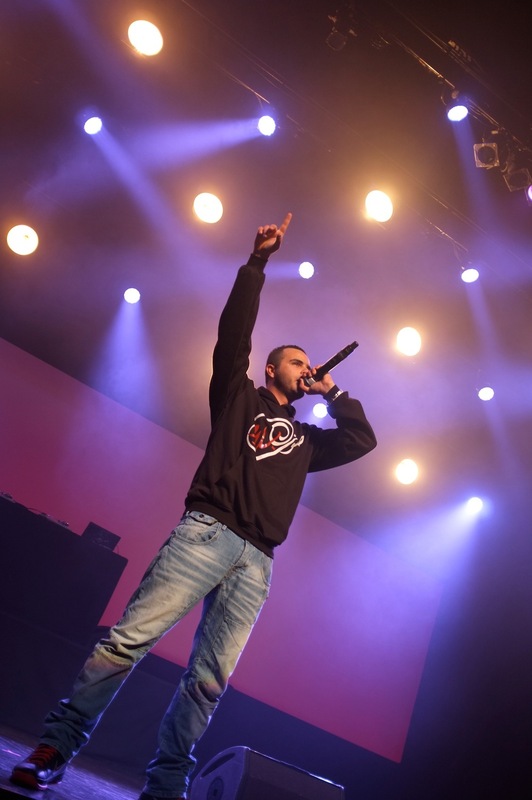 His story earned him a spot as one of Time Magazine’s most influential people in the world in 2011. 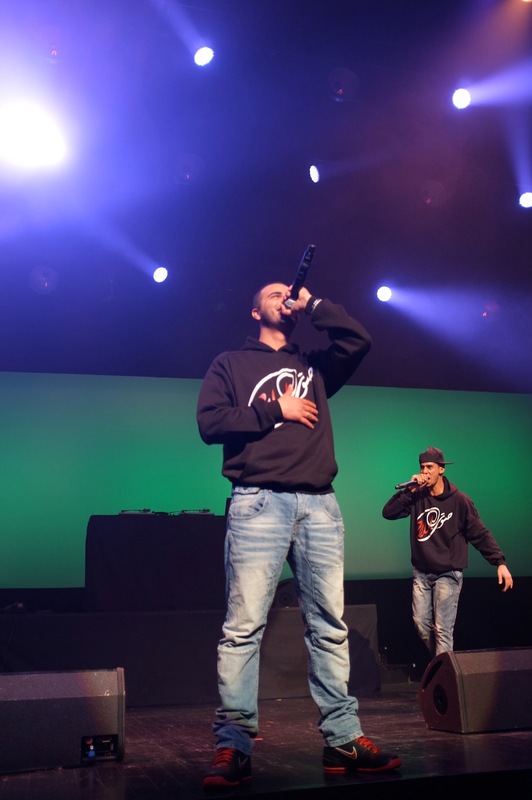 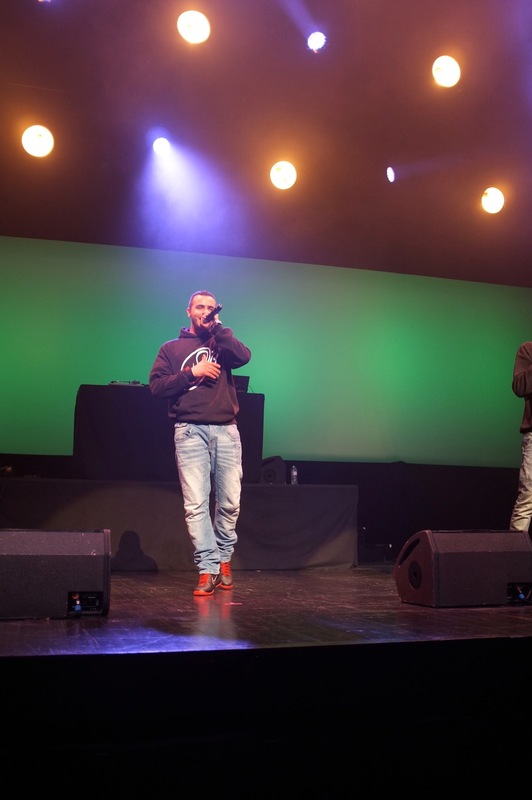 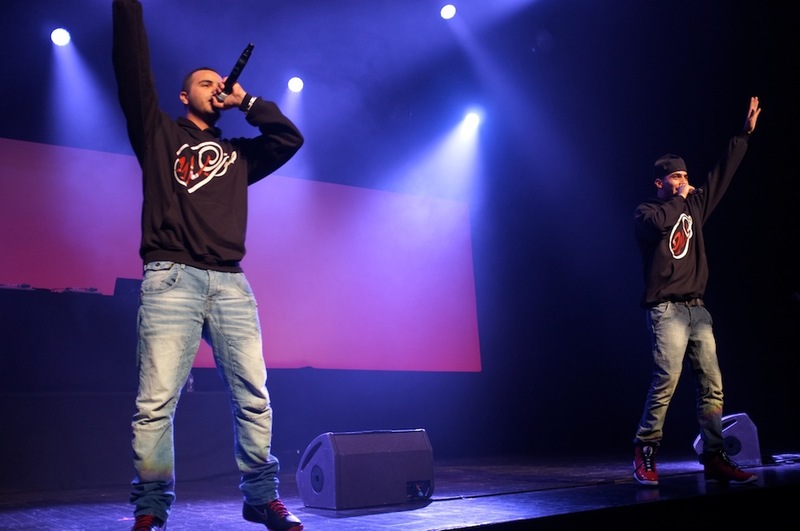 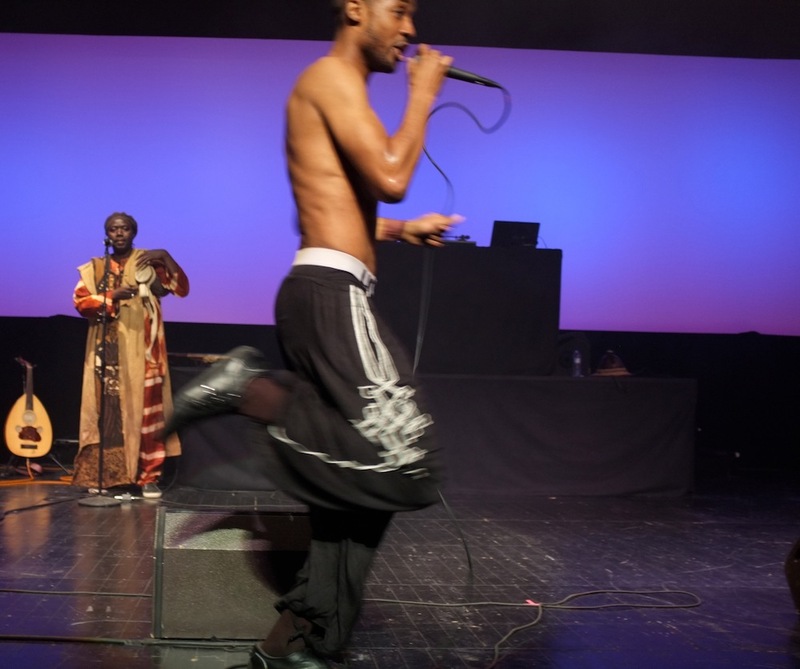 Accompanied by cousin and fellow rapper Oussama, the pair kept the crowd’s heads bouncing and, later, dancing. 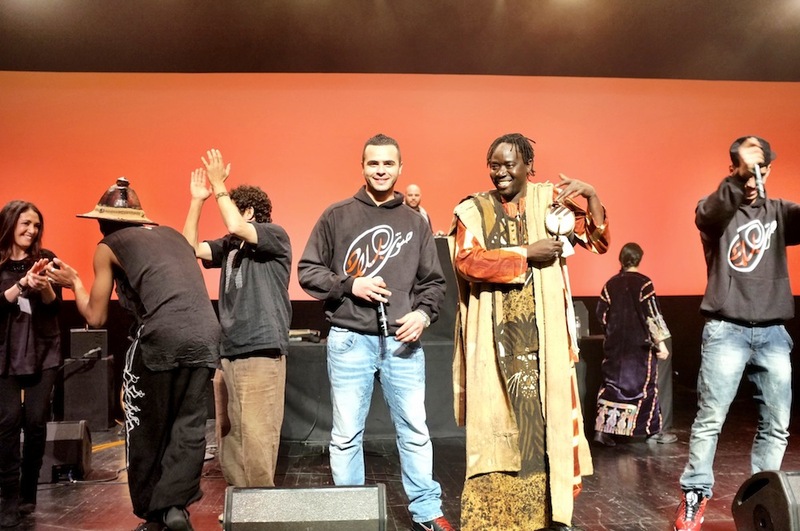 Finally, Malien artist Amkoullel took the stage, singing hits Kalan (Education), and Dibi (Tomorrow) – and inspiring the crowd to get on their feet and dance. 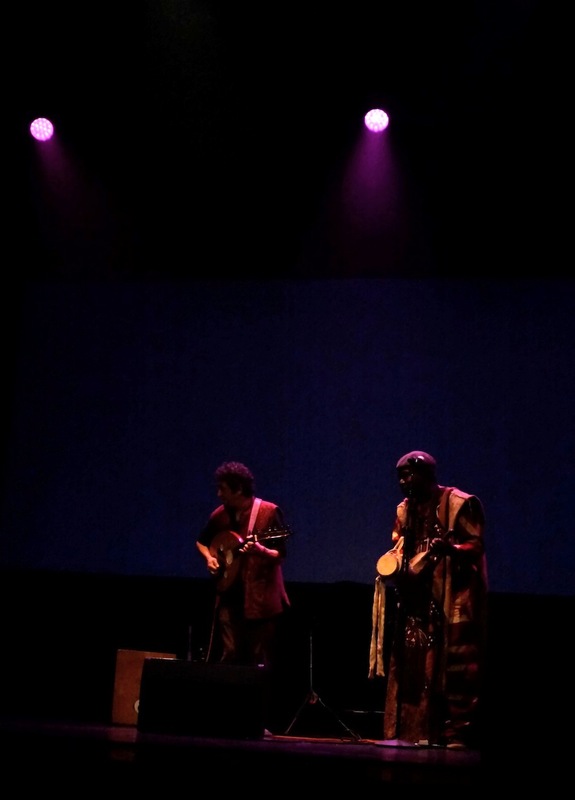 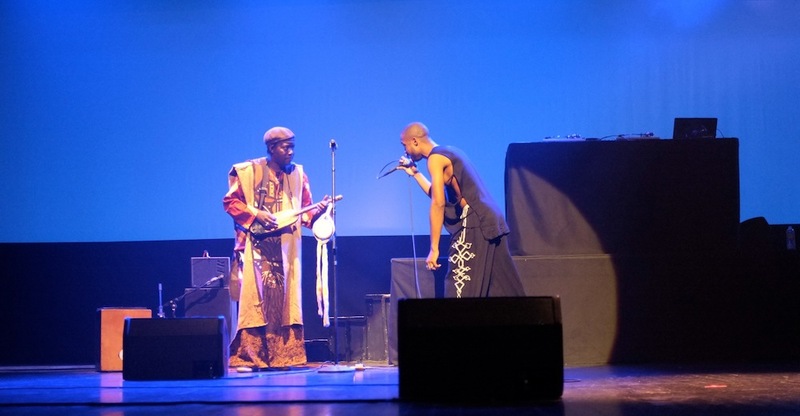 But in addition to the feature artists, the crowd was delighted by the traditional sounds of accompanying musicians Brahim Frigbane, a Moroccan oud player and percussionist, and Yacoub Sissoko, a Malien musician and griot known for his mastery of the stringed ngoni instrument and talking drum. 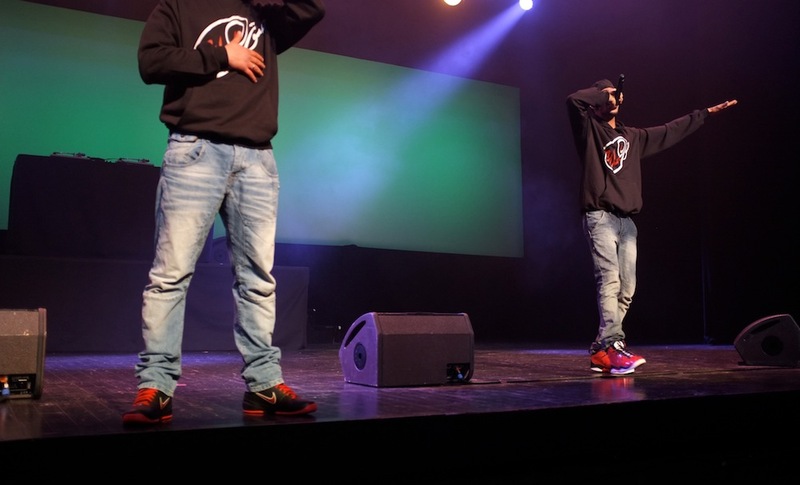 The two played the transitions between acts and accompanied the singers on some of their songs. 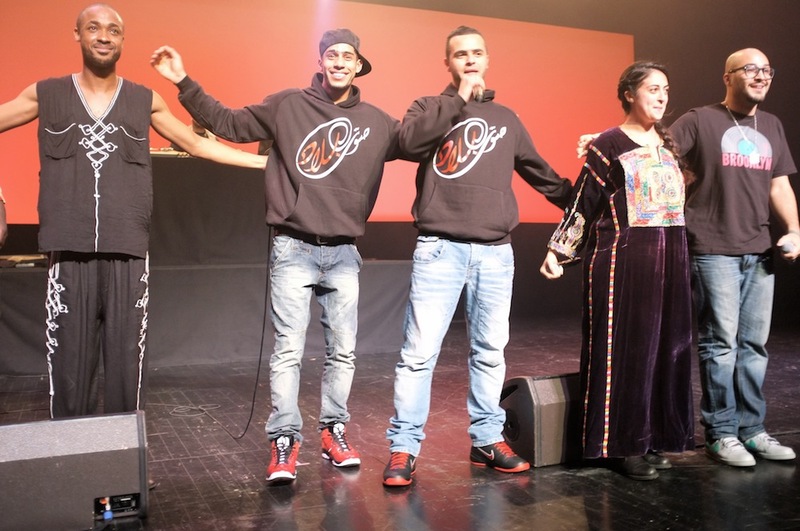 The program commenced with a finale by all the artists together with a message about justice, human rights and peace. 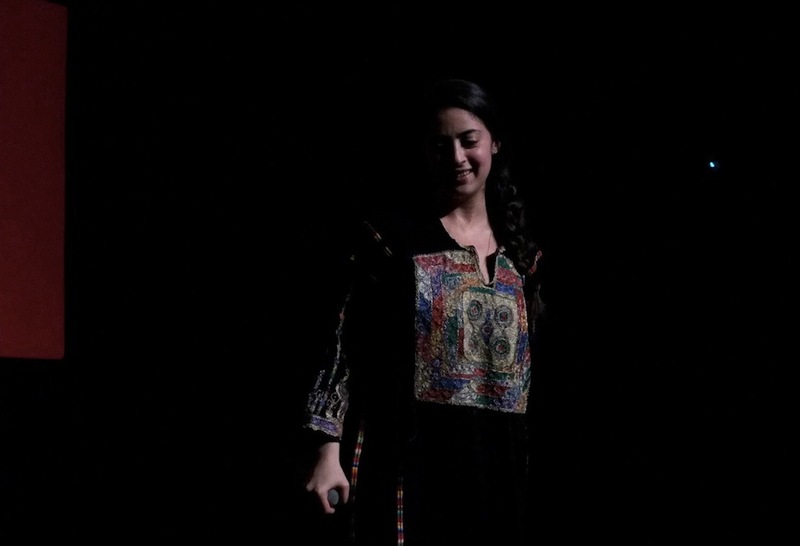 Article by Sameea Kamal and photography by Ben Zafar. 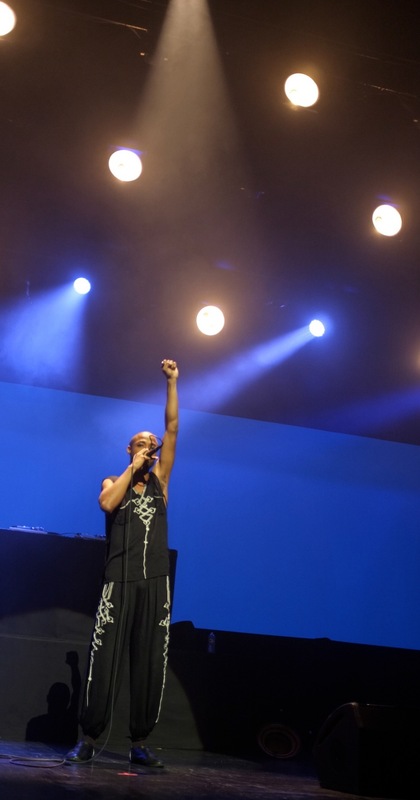 Thank You to The Brooklyn Academy of Music. 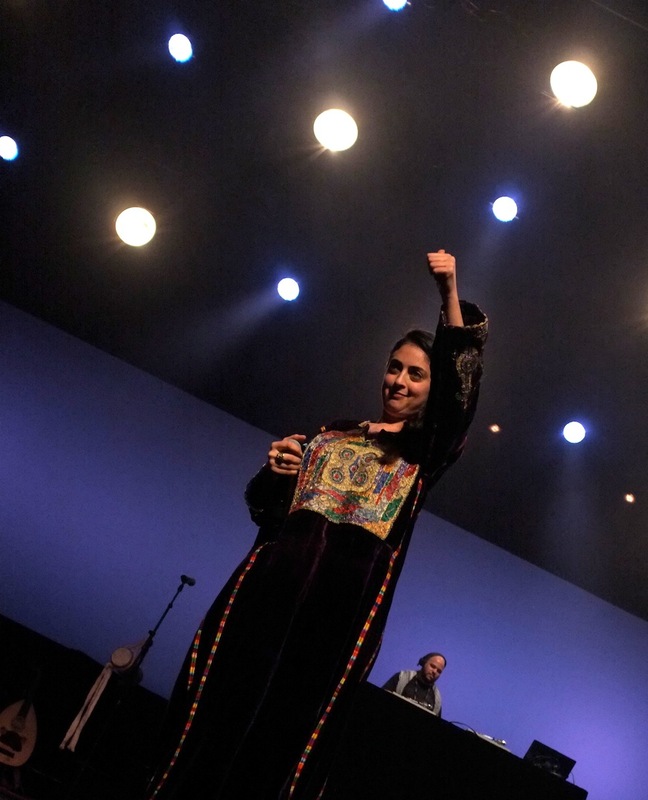 Amkoullel, El Général, Shadia Mansour, Deeb. 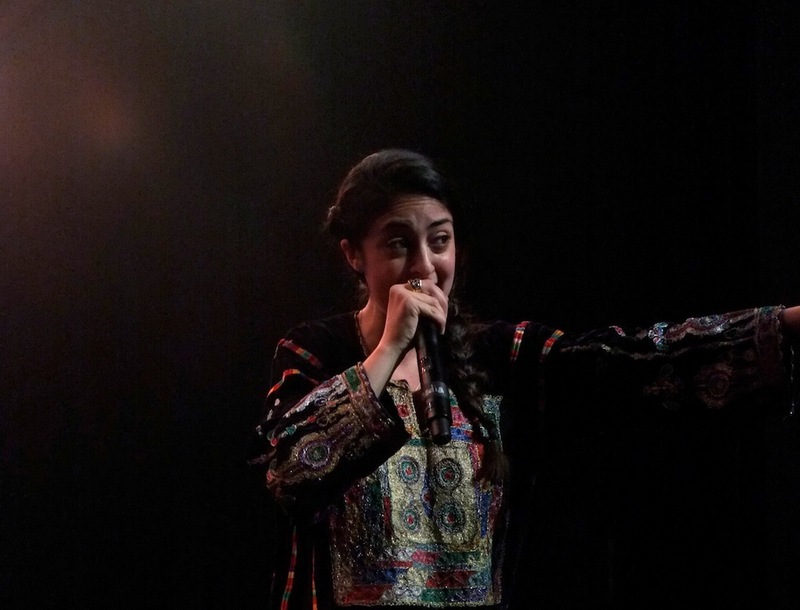 Shadia Mansour, Rapper/Hip-Hop Artist & DJ Johnny Juice. 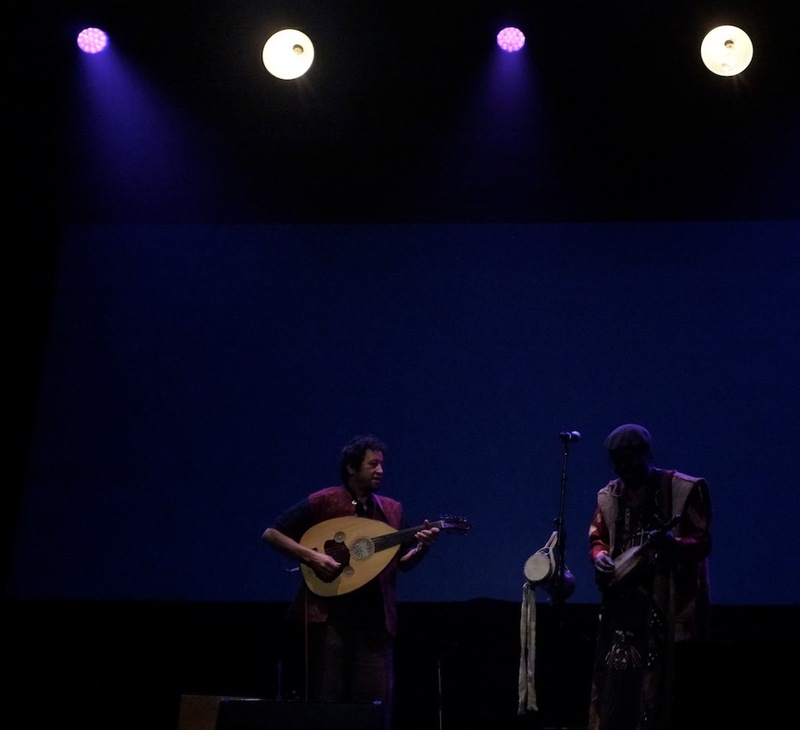 Brahim Fribgane, an oud player from Morocco with Mr. Sissoko, right.